We want you to be 100% satisfied with any purchase you make with us, but we know that you may change your mind or that sometimes things can go wrong. That is why we offer you the the opportunity to replace, exchange or refund your item. 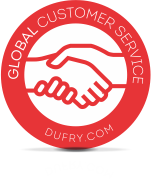 Dufry will exchange or replace products purchased in its stores within a period of 30 days from the date of purchase, provided that the product has not been used, it is in perfect condition and is returned in its original packaging together with all original items it came with. Dufry will accept goods returned for refund within a period of 30 days from the date of purchase, provided that the product has not been used, it is in perfect condition and is returned in its original packaging together with all original items it came with. (*). See below the Dufry Warranty for more detailed information. No refunds will be granted for jewelry, watches or underwear. 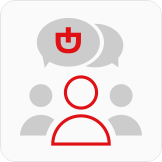 Our customer service operators are available to provide suggestions, information and to address a wide range of queries and remarks regarding our services. 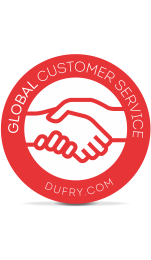 Dufry aims to always find the best solution to satisfy its customers. Because of this, each case will be reviewed and analyzed individually, also taking into consideration the consumer laws local to the place of purchase. * Proof of purchase must be presented in all cases. Dufry will exchange or replace products for the customer ONLY in the country of purchase if the local law allows.